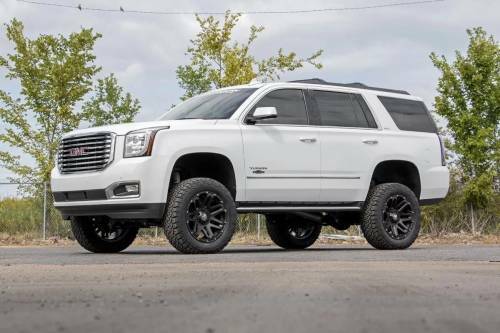 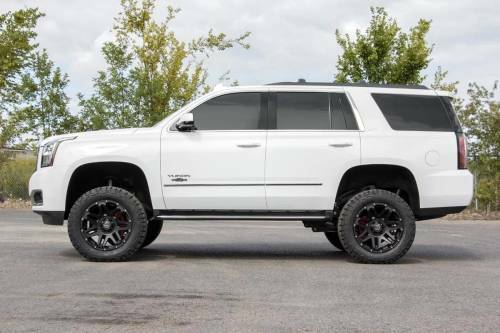 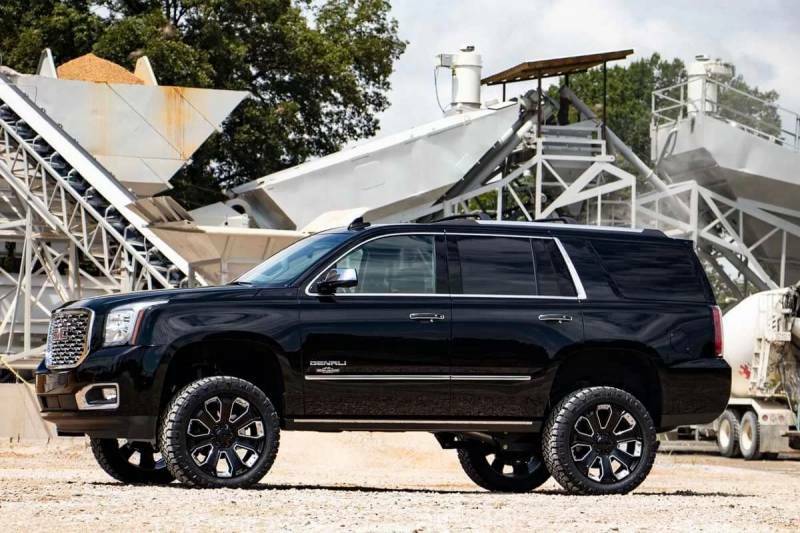 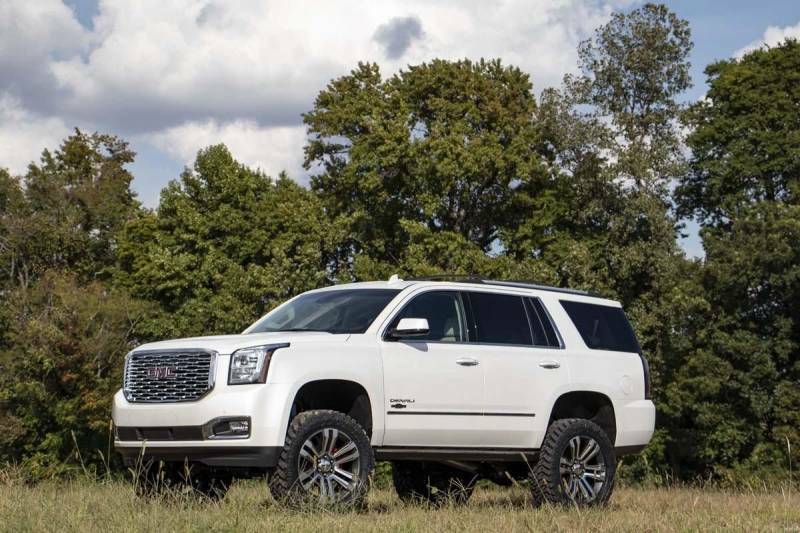 Get the look you really want with Rough Country's 6-inch Suspension Kits for the Chevrolet Tahoe and GMC Yukon. 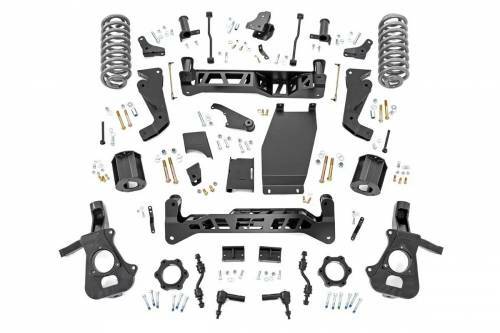 These premium kits provide clearance for a 35-inch tire while reducing the factory rake for a leveled stance and is packed with impressive features including; High clearance cross members and brackets precision laser cut for a perfect fit, a set of beefy lifted knuckles designed for optimum geometry and lifted rear coil springs that are perfectly dialed in for driving stability. 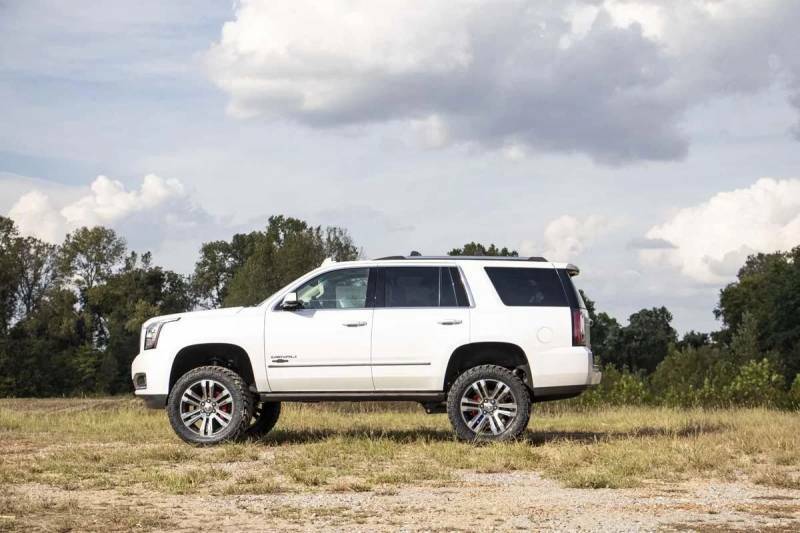 Includes Rough Country's Lifetime Replacement Warranty.